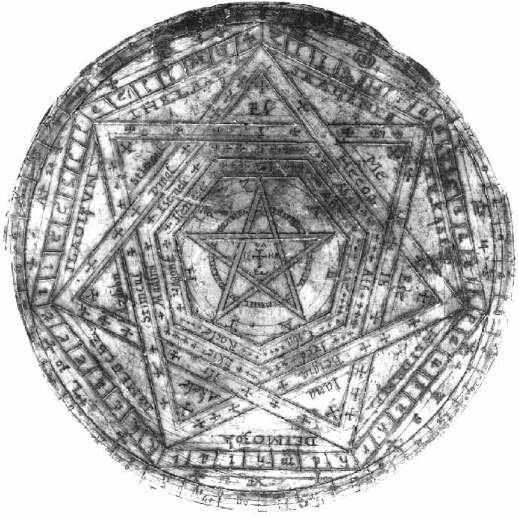 The Sigillum Dei Aemeth is one of the most curious and complex symbols in the literature of the occult sciences. Its mysterious character first takes its present form in Liber Secundus Mysteriorum,1 the second book of John Dee and Edward Kelly’s somewhat infamous Spirit Actions. It is recommended that those who wish to study this material in depth become familiar with the primary source material, that is Dee’s Mysteriorum Liber Quinque, particularly Liber Secundus, which contains the reception and principle explication of the figure. Other texts by Dee that bear on the issues raise in the Sigillum include his Propeaedumata Aphoristica5, Monas Hieroglyphica6, De Heptarchia Mystica7, the Introduction to Billingsley’s Euclid8 and the collection of Spirit Actions contained in Casaubon’s A True & Faithful Relation9; Lon Milo DuQuette’s Enochian Vision Magick10 and Donald Tyson’s Enochian Magic for Beginners11 are admirable overviews of the Dee material from a magical perspective. Our sources will be noted in detail in the course of this series and a more fully annotated bibliography provided at its conclusion. The Sigillum itself is divided into 4 principle parts: 3 on the obverse or front and 1 on the revers, base or back. Each of these sections, though containing multiple constructs, is derived from a unique set of values: either a combination of letters and numbers or letters alone. These can be fairly correlated to the 4 worlds of the Hebrew Qabalists. This places the deific forces in Atziluth, the Archangels in Briah, the Angels in Yetzirah and the AGLA of the Cross as ruling North and Earth to Assiah. As Can be seen these reflect the traditional attribution of the letters of the Tetragrammaton to the four worlds and the reflection of the elements into the division of the higher worlds. In this way the outermost circle represents the farthest celestial realms, the enclosing septagon the dimension of time, the inscribed heptagram and heptagons the descending planetary spheres and the base the elemental world of mundane existence. A theory of planetary magick: Structurally stable catastrophe as the mother of form. The Geometric parts of the Sigillum. Here we use basic Classical (such as Ptolemy) and Grimoric forms as set forth in Dee’s Propaedeumata Aphoristica. Simply stated Astronomical or positional, Astrological or symbolic and Chronological via traditional governments of hours. Form is achieved by using set theory and isolating each aspect until all three overlap into a triangulation. In simplest terms this may be achieved, for instance, when a planet is above the horizon, on its day and in its hour and when it is in a sign which it rules. For these purposes the circumference is attributed the Celestial sphere and thus the positions of the planets on the background of the stars, the Archangels of the Septagon to the government of Planetary hours and this to the rulership of temporal conditions, and to the angelic exemplars of the planets are attributed the basic symbolism of astrological rulership. More anon, but let us first look at each section in turn. In Liber Secundus these three major division are referred to as Thrones, Trumpets and Angels. Seven knitteth mans sowle and body togither. In 7, thow shalt finde the Sonne, and the proportions of the Holy Ghoste. from thy 7 Thrones, from they 7 Trumpets and from thy 7 Angels. In 7, God wrowght all things. I. The Circumference: The 40 Chambers about the edge II. The Septagon: The 49 Chambers inscribed within the Circumference III. The Matrix: The 7 Names of 7 parts each that are set within the isosceles triangle that result from the inscription of the Heptagram within the Septagon. Thrones: From and in the 40 Chambers of the Circumference are three sets of spiritual creatures. 40 angels are individually associated with the Chambers themselves, their letters and numbers. 7 (plus 2 or 3 hidden) names are drawn by the arithmetical algorithm from the Circumference. The 7 Alphanumeric Seals located within the semicircles that result from the inscription of the Septagon within the Circumference. 7 Baskets containing 7 avian creatures, some real, others mythical. 7 (=1) Archangels, the 7 Angels that stand before the Holy Throne etc. (+ Uriel after a fashion). 1. The original MS. of this text containe Sloane MS. 3188: “Enochian Manuscripts Online.” The Magickal Review. http://www.themagickalreview.org/enochian/mss. There is a slightly more intact copy, by Elias Ashmole, which is contained in Sloane MS. 3677, and some of the missing text can be recovered from Dee’s own extracts in the Heptarchia Mystica. There are three major full editions of this text, in Christopher Whitby's John Dee's Actions With Spirits: 22 December 1581 to 23 May 1583, 2 vols. (New York: Garland, 1991). Joseph Peterson’s John Dee's Five Books of Mystery (York Beach, ME: Weiser, 2003) and Clay Holden’s online ed. Mysteriorum Liber Secundus. trans. Raymond and Susan Drewry. (John Dee Publication Project. 1999) http://hermetic.com/jdpp/. The latest editions of the later are the best of these. 2. The serious student would do well to acquire and work through the Thirteen Books of Euclid. The Heath edt. : Euclid. The Thirteen Books of the Elements, 3 vols. trans. Thomas L. Heath. (New York: Dover, 1956) also provides an admirable introduction with important information about John Dee. 3. Aryeh Kaplan ed. & trans. Sefer Yetzirah: The Book of Creation. (York Beach, ME: Weiser, 1997) is the best introduction to the classica methods of qabalistic logic. 5. Wayne Shumaker ed. & trans. John Dee on Astronomy: Propaedeumata Aphoristica (1558 & 1568), Latin and English. (Berkeley, CA: Univ. of California, 1978). 6. C. H. Josten, trans. “Monas Hieroglyphica.” Ambix, vol. XII. (Cambridge, UK: Society for the History of Alchemy and Chemistry, 1964) is by far the best presentation of this material but The Hieroglyphic Monad by Dr. John Dee and translated with commentary by J. W. Hamilton Jones (York Beach, ME: Weiser, 1975) and the numerous online editions based on it are serviceable. 7. Sloane MSS. 3191 & 3678, in Geoffrey James Enochian Evocation/Magick of Dr. John Dee. (Gillette, NJ: Heptangle, 1984 & St. Paul, MN: Llewellyn, 1994.) and Robert Turner’s Heptarchia Mystica. 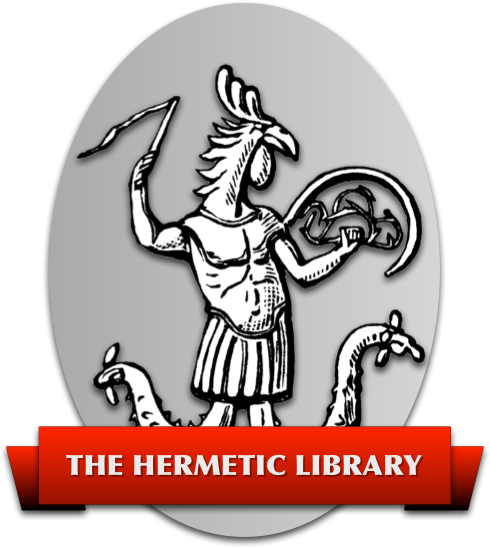 (Edinburgh: Magnus Opus Hermetic Sourceworks, 1983) republished with translations and useful addenda as The Heptarchia Mystica of John Dee (Wellingborough, UK: Aquarian, 1986).